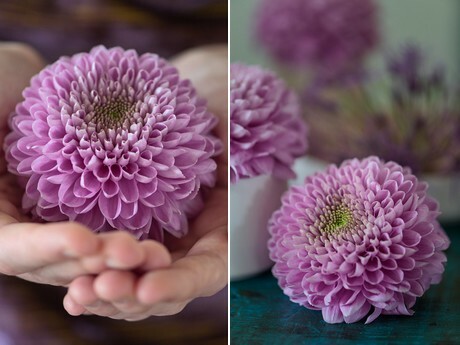 The new disbud Chrysanthemum ‘Vanya Pink’ has a big, pink spherical flower and tons of flower petals. Because of the demand from florists, Royal Van Zanten focuses on the expansion of their collection of disbud Chrysanthemums, making them more widely available. To stand out from the crowd, florists need to seduce customers with special flowers, craftsmanship and custom floral design. Royal Van Zanten wants to support florists by making sure special varieties are more widely available. That’s why ‘Vanya Pink’ will be offered in larger numbers at flower auctions starting week 15. Next to Kamuro (Zentoo), J&A Flowers (Vannova) will also supply ‘Vanya Pink’, doubling the number of stems to 20,000 a week. That way, florists are more likely to get a hold of ‘Vanya Pink’. The ‘Vanya Pink’ has a long vase life and a pink colour year-round. It can be used in a bouquet together with other big and distinct flowers.